I thought I would keep a tab on the build of my clio 172 track car, but as its not a Nissan is doesn't belong in the projects section. 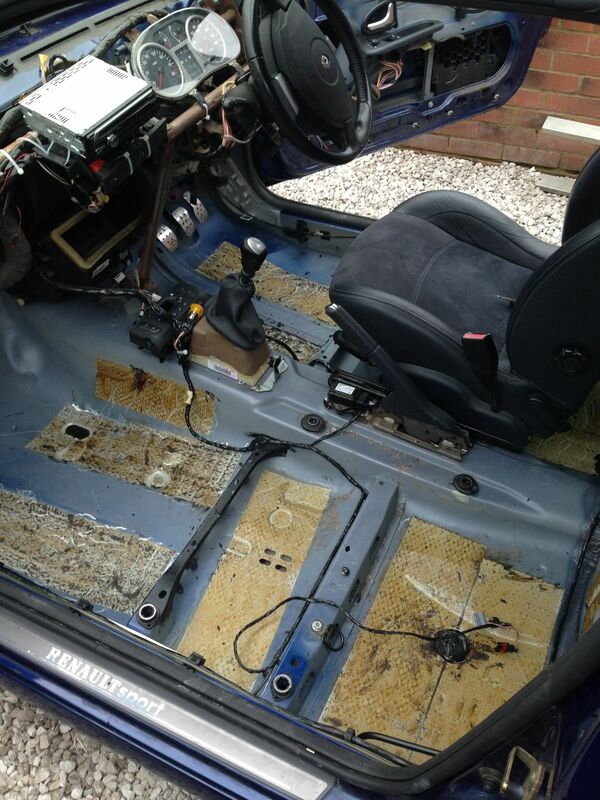 So far all that's been done is induction kit, brakes and now i've stripped it out. There will be more to come! 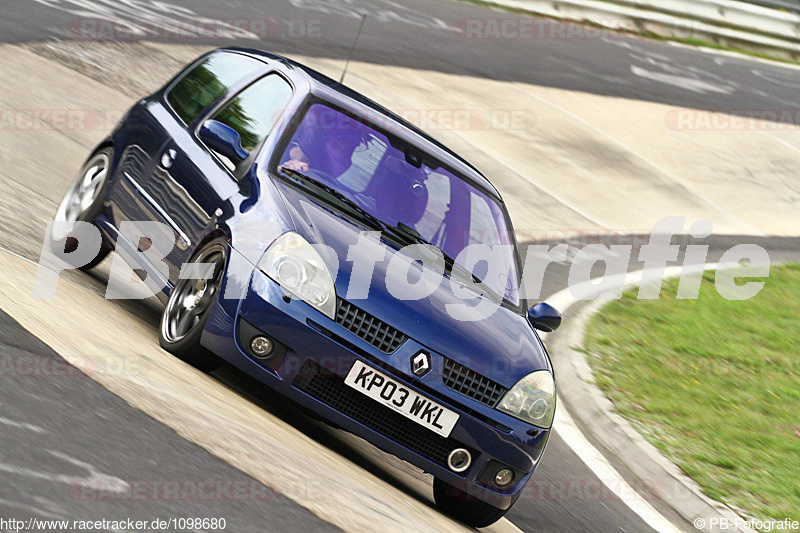 It started with the induction kit and brakes being done for the Nurburg trip with all plans being to leave the car there when it broke or sell it when I got back but it was so much fun to throw around that it is now going to be a track car. The 'build' began in Nurburg when someone at the bar (where all the best ideas are had) said I should make the car lighter so I could go faster, I then spent a couple of hours the next day pulling out everything in the rear I could and putting it in the hotel room. Now back in the UK, the clio has been on a diet and I have stripped out everything that is not necessary and have plans for new seats, steering wheel, suspension, exhaust ect. 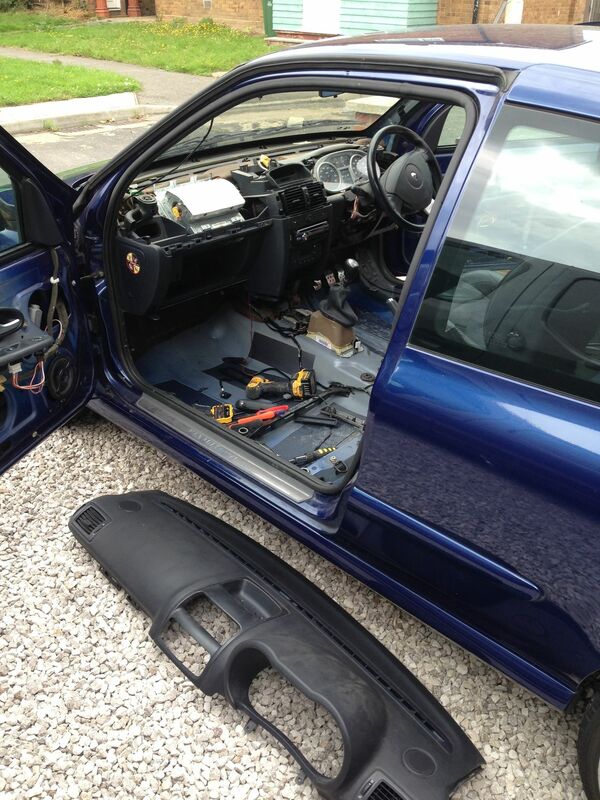 So if anyone wants some clio 172 interior to tart up your Gti's let me know. 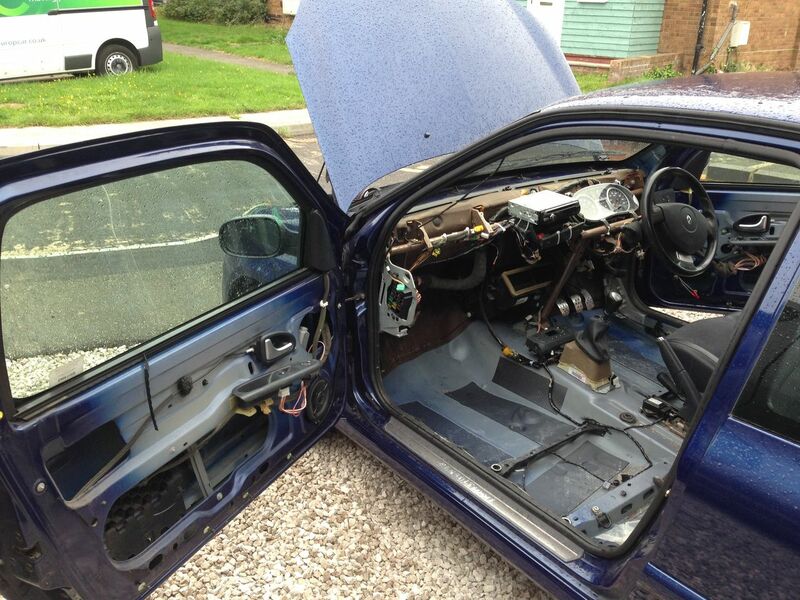 So if anyone wants some clio 172 interior to tart up your Gti's let me know. 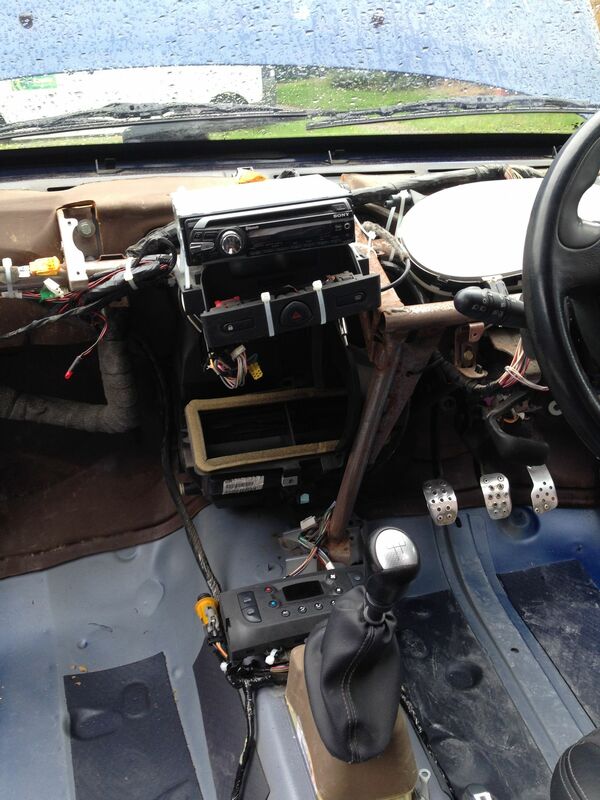 if your going all out for weight saving Tim why not pull the dash out too then mount the clock head unit on a frame. only thing I would keep would be the heater blower unit, also an aftermarket wheel with smaller diameter would make it easier to flick round the corners. with a cage fitted and the BC coilovers with lightweight Volks rims youll have yourself a very quick little trackday weapon there that will give any turbo'd car a good run for its money. 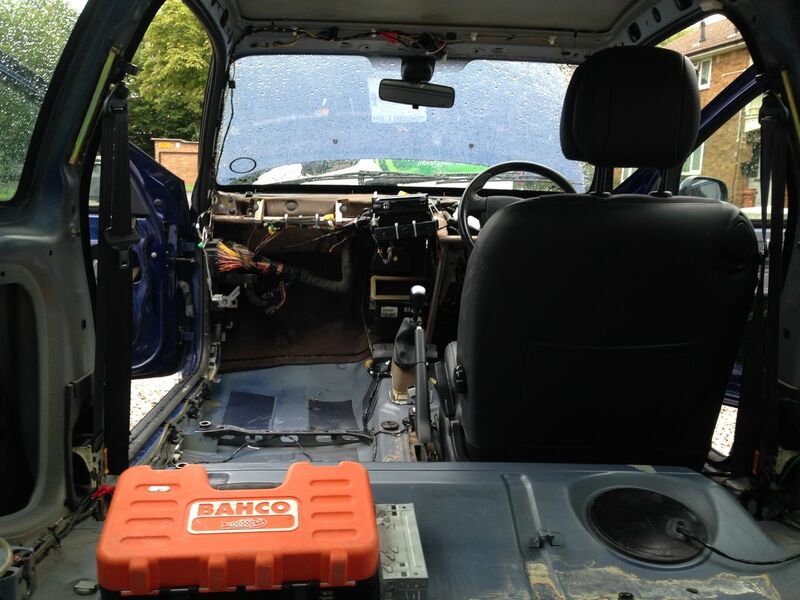 As i write this i am in the car stripping out the dash. I am going to order a 300mm steering wheel and boss, a decat pipe and take a look at seats and harnesses. 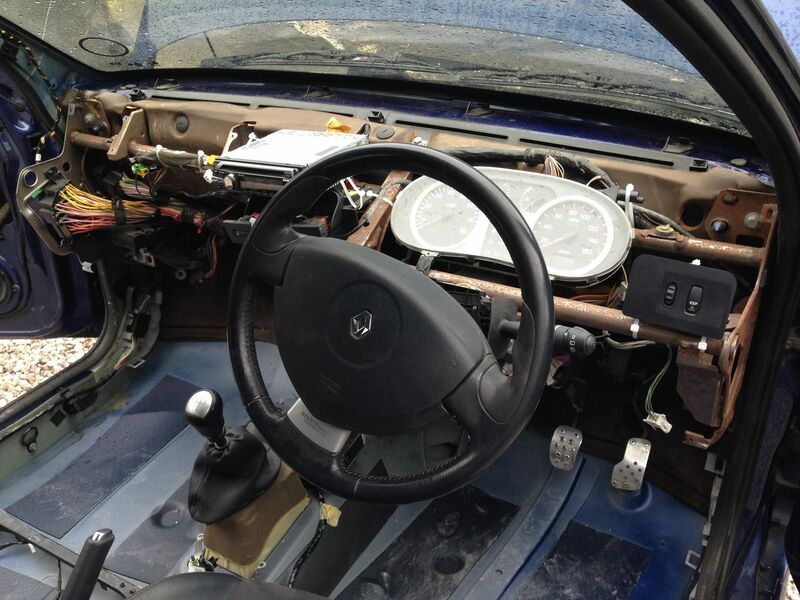 I dont want to remove my steering wheel airbag and not at least have harnesses in place. 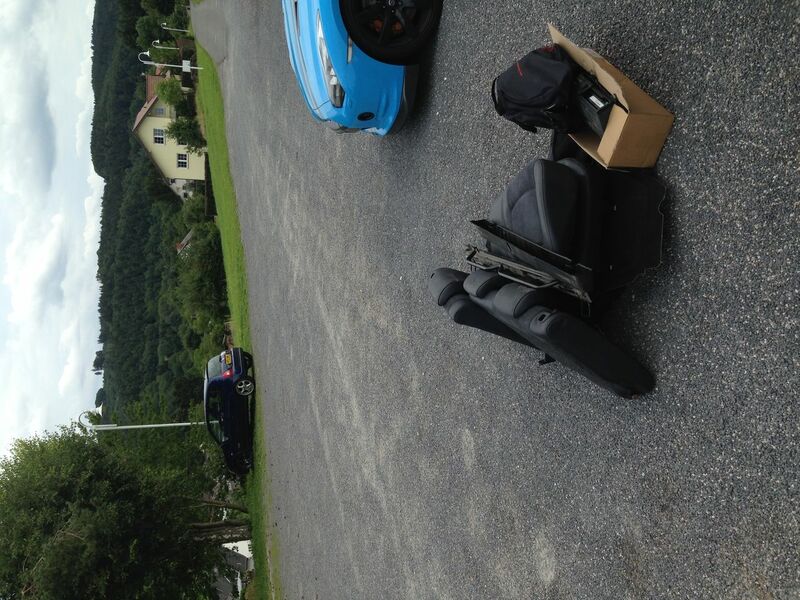 I took it out last night after stripping it and there was a real noticable difference in speed. @GTI-R US wrote: if your going all out for weight saving Tim why not pull the dash out too then mount the clock head unit on a frame. 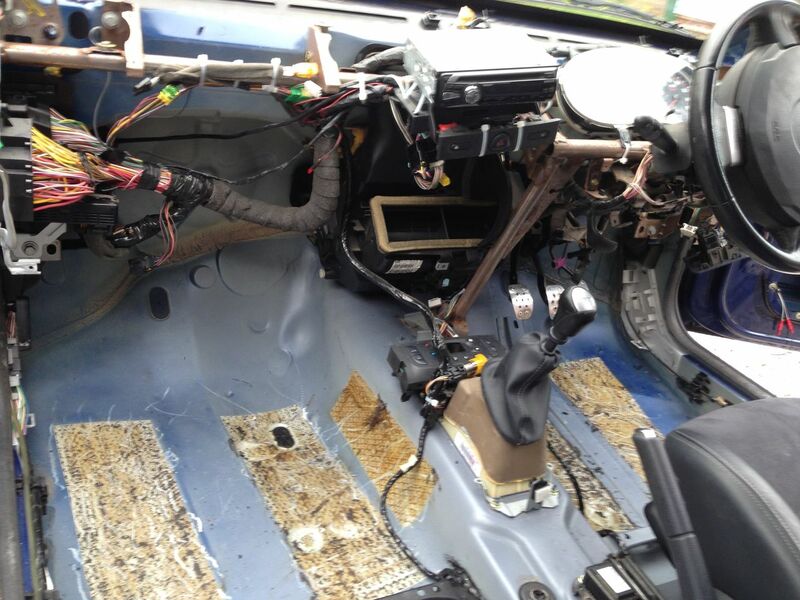 The dash is now completely gone. the lower dash was a bit of a pain but overall not to difficult. If anyone can think of things to do better or differently post below, I have never done anything more than basic servicing on a car so all this is new to me and I'm learning as I go. 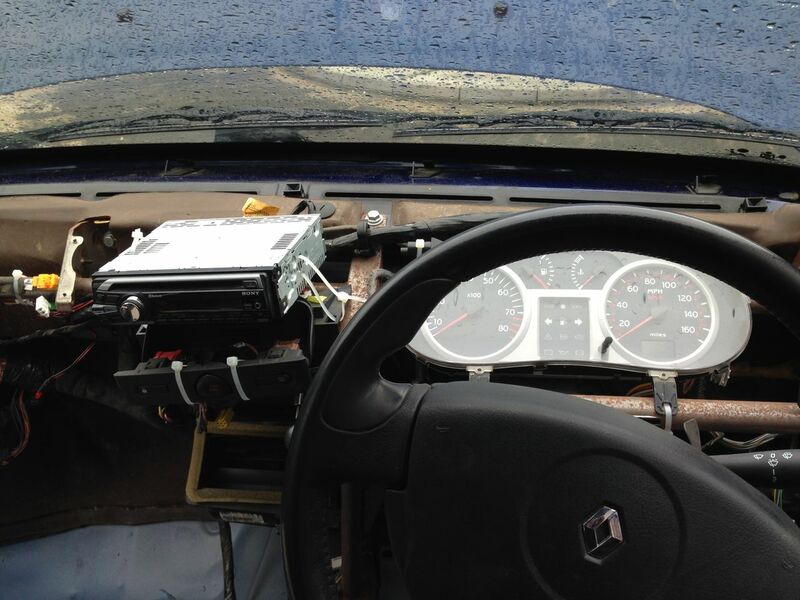 Can I assume that the tubular frame behind the dash is important and I shouldn't remove it to save more weight? There is a guy near me breaking his 172 track car. can anyone recommend any bits I should have off it? 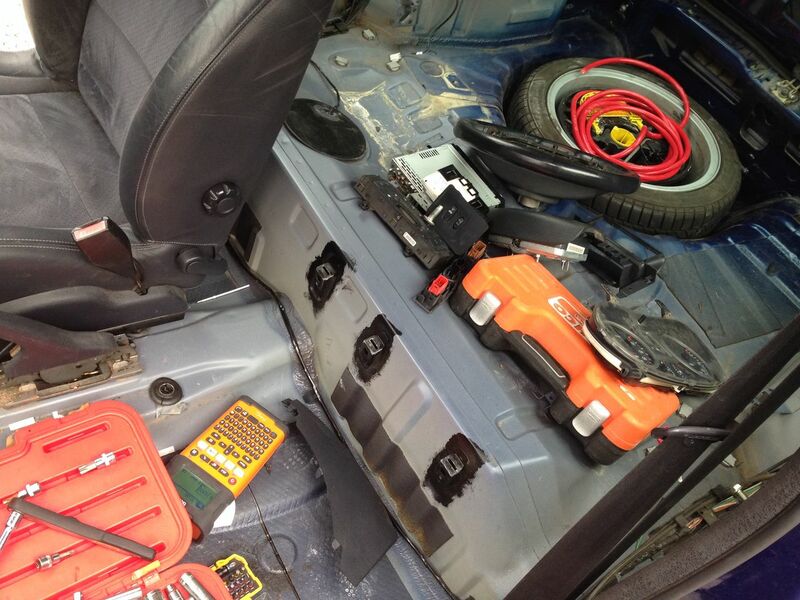 I have already asked for the decat, exhaust, roll cage, braided hoses and battery. Some of the engine parts are over my head, so if anyone can tell me what bits are worth buying, i'll see if I can afford them. Moved the washer bottle to the rear. I will be getting a different washer bottle but for now this will do. Now time for a hoover and clean up ready for its interior paint job next week! white spirit and rags and that will clean up like new. i did the same in my old 200. suprising how good white spirit is. 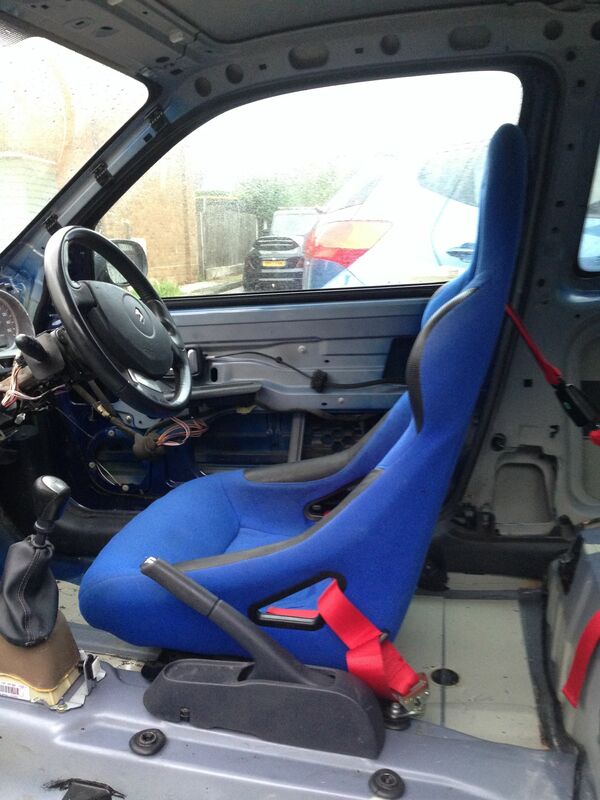 A new bucket seat and harness has been installed. I hadn't planned to put one in but a guy was coming round to buy some of the old car carpets and had it for sale in the back of his car, so £30 and some car carpet later it was mine with the harness. It is not what I planned to get as its steel framed, has little cushioning and it is not the most comfy seat in the world but for £30 and some carpet I cant complain. Lexan windows weigh 1/3 of glass. Buy some lexan sheets, use your glass as template to draw around, cut and rivet in. @joetheeskimo wrote: Lexan windows weigh 1/3 of glass. Buy some lexan sheets, use your glass as template to draw around, cut and rivet in. 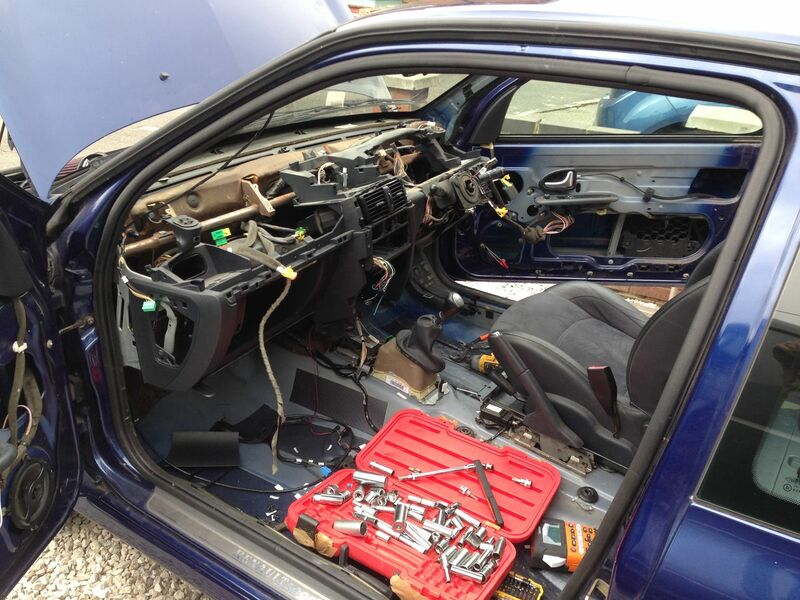 Wont the replacement windows just sit in the oe runners then ??? 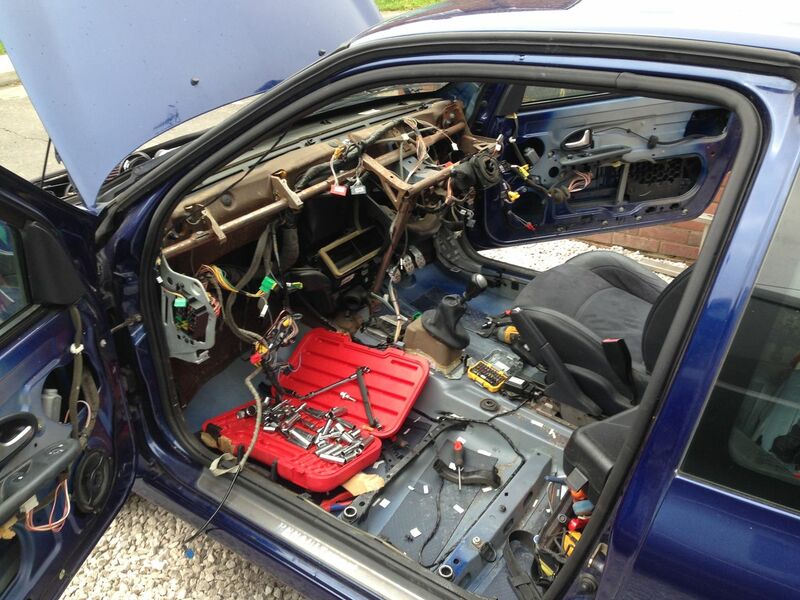 @nomad wrote: Wont the replacement windows just sit in the oe runners then ??? Got a reply back today, The polycarb windows are bolt in only. Will not work in auto or manual winders Looks like I am waiting until they break then. I plan to eventually. Need to get something to put the radio in, I can reach it now i've got bucket seats lol.